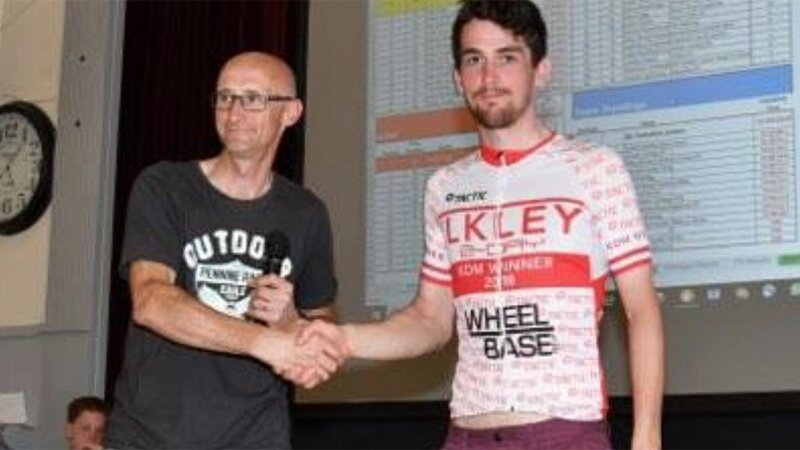 This weekend the team of David Ogg, George Sewell and Luke Hind competed in the Ilkley two day on a tough course around the Darley area of the North Yorkshire moors, reports Mick Padley. Stage 1 was an individual time trial which put David some 12 secs back on GC, so it was still all to play for going into Stage 2. All 3 riders were very active in stage 2 with David helping to bridge across to the early break unwittingly collecting some KOM points in the process. In the end local knowledge came to the fore and the stage was won by Yorkshire rider leaving the lads to come in with the bunch gallop. Stage 3 was a TTT but we had worked out that to go for the overall would be difficult so rode the stage with the afternoon road race in mind. Stage 4 on paper was always going to be difficult with gradients of 17 and 12% and so it proved. Having worked out we had a chance in the KOM competition David attacked from the gun and was initially out on his own mopping up the points. He was joined by a second rider, but David wasn’t about to loose his jersey as he was the virtual KOM leader on the road and took maximum points at every opportunity. Coming into the last lap a group of 3 initially tried to bridge across but the pace David was setting made that difficult and they retreated back to the bunch. It took the remainder of a very depleted bunch to finally bring David and his breakaway companion back, but by this time he had captured the KOM jersey and not to be outdone with 300m to go he was still competing for 3rd place, but being out front all day had took its toll on the legs. Seeing that David’s chance had gone George opened up his sprint with the bunch and came home with the remainder of a very small peleton compared to the 80 riders that had started the day. As a bonus to winning the KOM it looks like David has also come top 10 in the Points competition, a brilliant weekend and a great team effort.